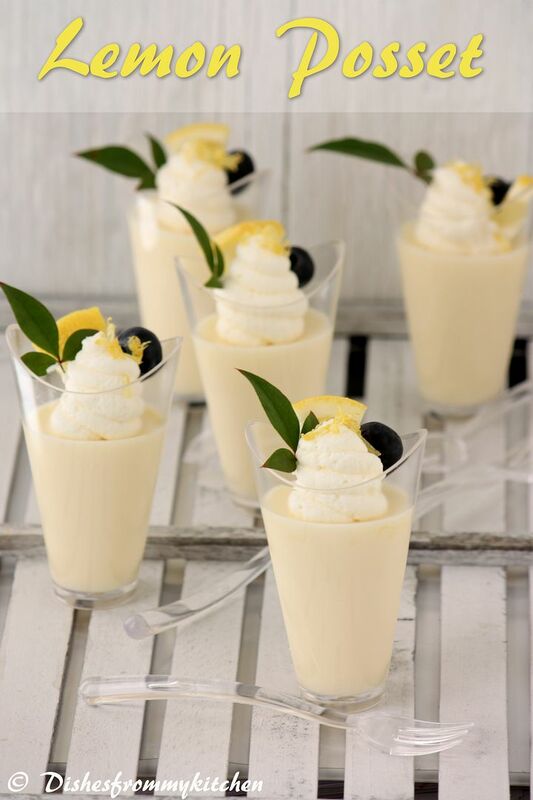 Dishesfrommykitchen: LEMON POSSET - TANGGGGGGGGGY !!!! LEMON POSSET - TANGGGGGGGGGY !!!! 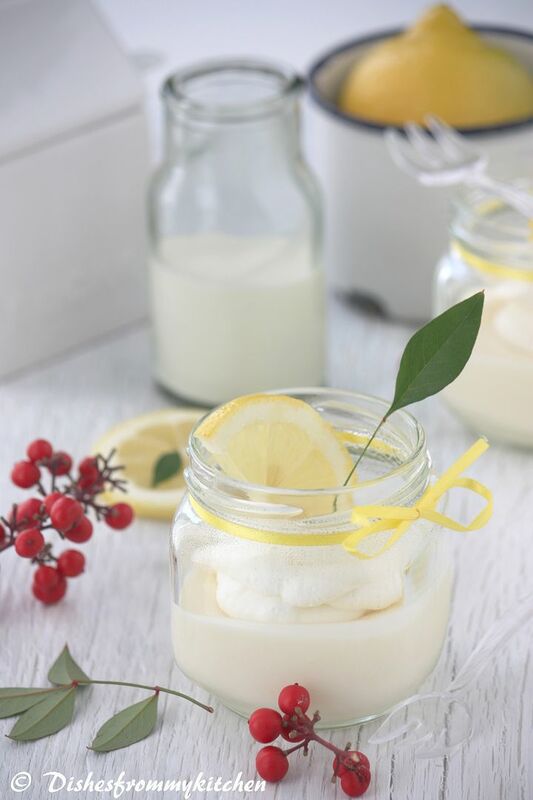 Lemon Posset, there is no other dessert easier than this. This is extremely easy, quick and tangy pudding. You need not search for any fancy ingredients. 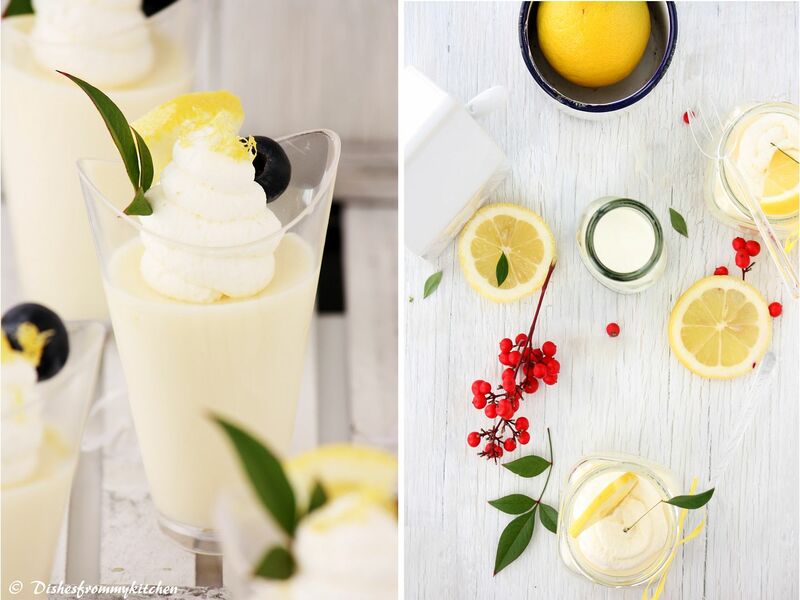 If you are lemony person then this is the perfect dessert for you. With just 4 ingredients..here you go for delicious dessert.... See notes for variations. 1. Bring cream and sugar to boil until sugar is melted. 2. Stir constantly and adjust the heat to avoid over boiling. 3. Now put off the flame. 4. Stir in the juice of 2 lemon and zest. 5. Let it cool. Now divide the mixture to the serving cups. 6. Cover the posset and chill it. Let it chill at least for 3 to 4 hours or even overnight. 7. Serve chill with whipped cream on the top. 1. Orange Posset - Just replace lemon with the juice of orange. 3. You can also use this posset for filling the tart shells. 4. 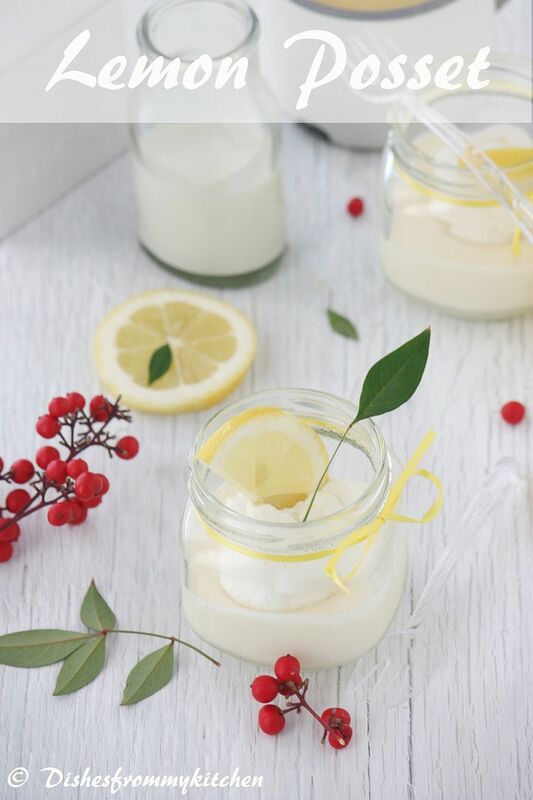 You can serve this posset with chopped nuts or cookies on the top. 5. You can also replace the normal white sugar with brown sugar as well. OMG!!! Such a gorgeous dessert Pavithra, absolutely brilliant presentation, love the cups you've used! And I LOVE citrus, this is perfect! 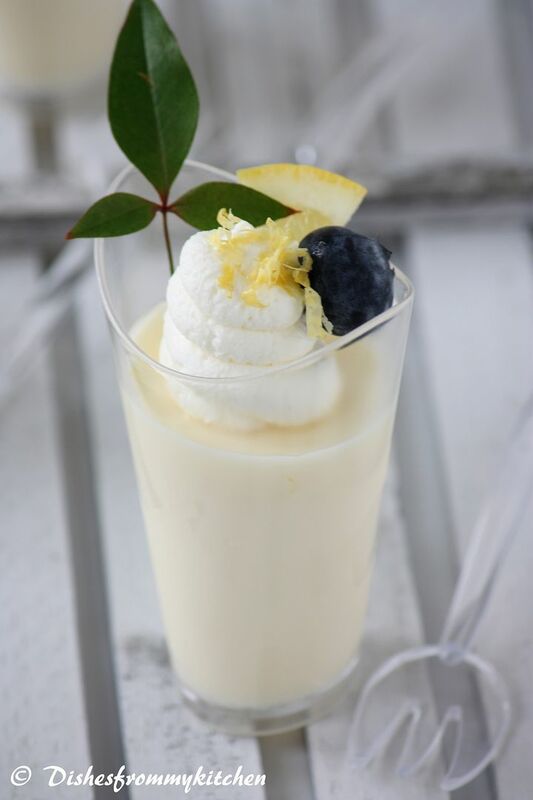 I'm wondering whether the heavy cream curdled because of lemon, because the posset looks nice n creamy, not crumbly. Wonderful pictures pavithra.. love them all, I have a question did u use a softbox, or is it in natural light?? 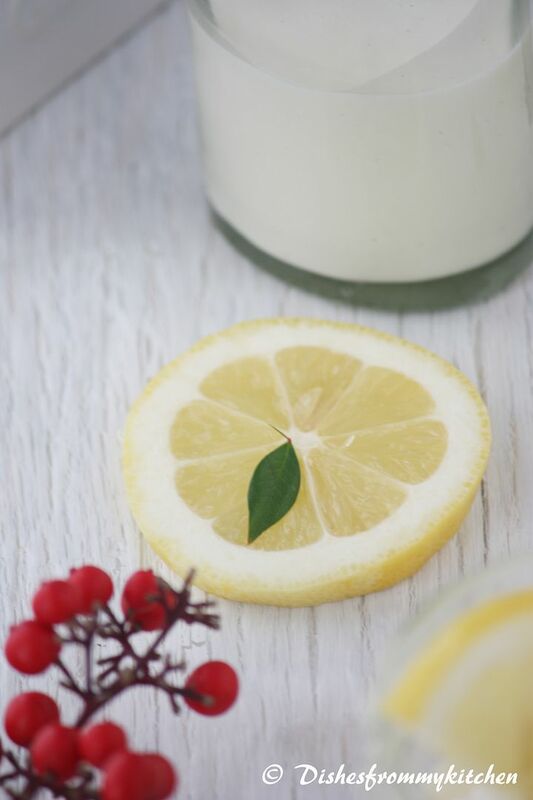 I love lemon and this is such a cool easy treat for a warm day. I am so gonna make it! I always love the way you present your recipes. Wonderful clicks. I'm a lemony person and love it !! The pictures are gorgeous !! Loved the glasses in the first pic !! yum and easy? bookmarked! love the pics as usual stunning Pavi! Simply delicious and amazing looking preparation. beautiful easy dessert and lovely presetation! gorgeous clicks as usual . HI, looks lovely and nice drink!! must try some time. Super click! Simply beautiful and amazing presentation.. Wonderful dessert! reading the name itself makes my mouth water and great food styling pavi! Love the pictures. New to me will try out soon on my guinea pigs. Gosh they are just gorgeous Pavithra and they sounds so simple, shall keep it for party days would be great!! I was thinking of a word to describe you - you are a woman with vision. You should patent that brain of yours. Your food arrangements and styling is wonderful Pavi. This is 5 star restaurant quality you have here! Just beautiful. Pavi, so does this set thick or will it still be semi set kind? BAKED KALE CHIPS - MUNCH HEALTHY !!! HOW TO ROAST SWEET LITTLE CHESNUT ??? MY LOVE FOR ORANGE !! !